Fire-breathing dragons truly exist. And if you want, in your own backyard. They come to life when you start a fire in the Dragon Fire Pit by Maandag Meubels. Ideal for a lovely evening in the garden or on the patio. 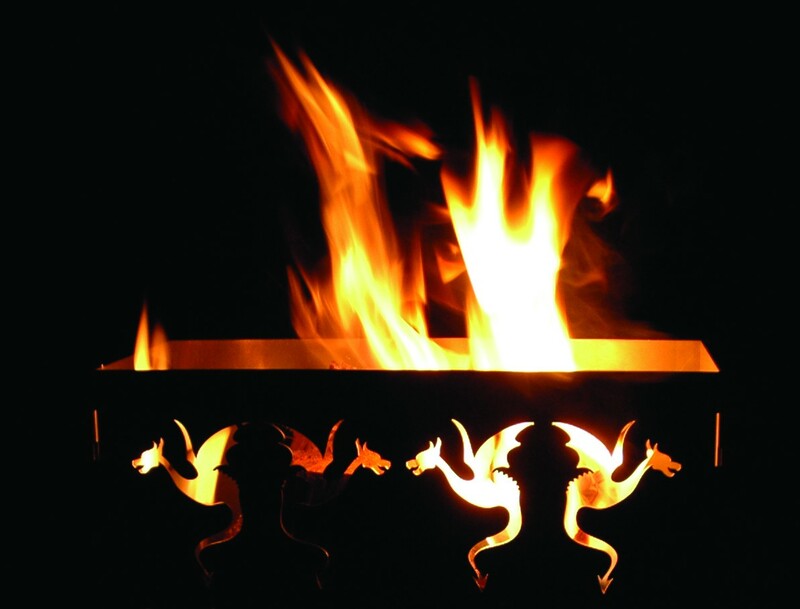 Enjoy the magical blaze of fire with friends and experience how the flickering flames allow the dragons to dance! 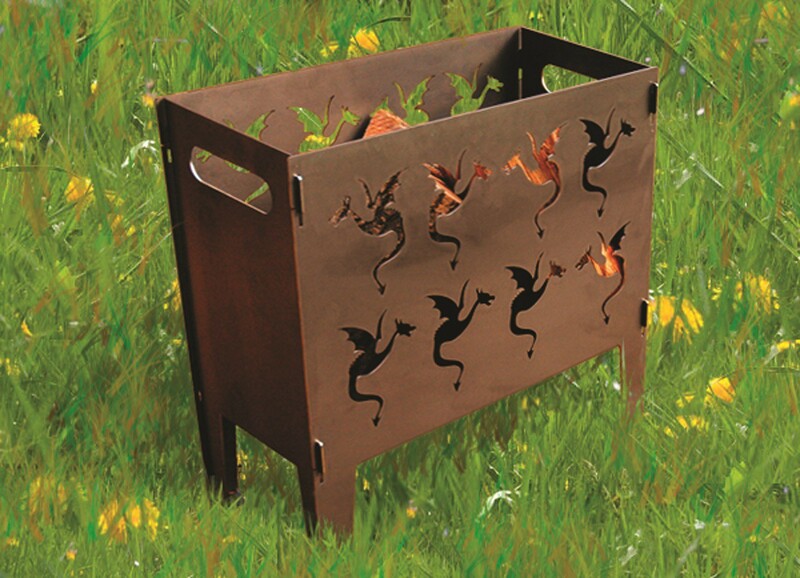 These Dragon Fire Pits are made of durable Corten steel and will last for a long time. 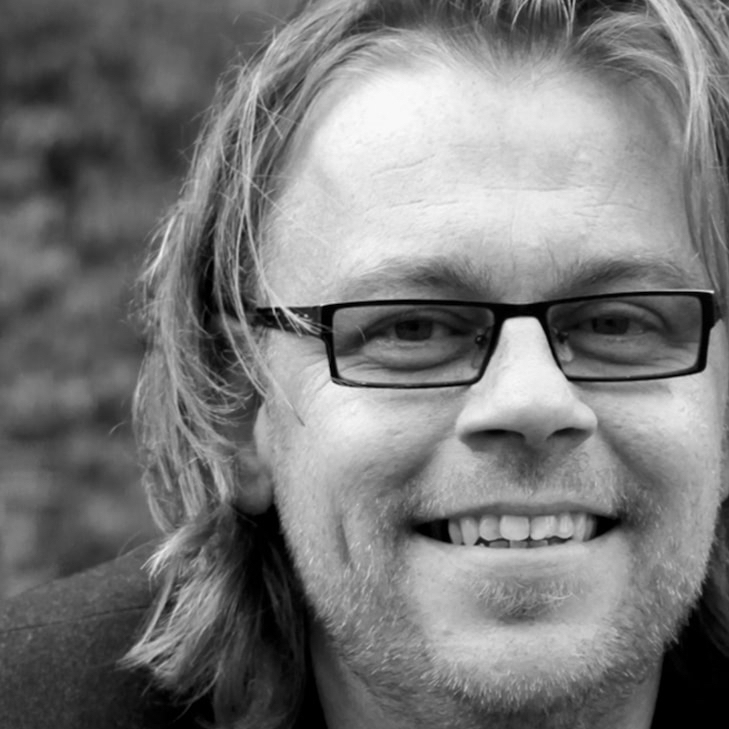 Fire-breathing dragons, who really believe in them? Yet, they do exist. And if you want, in your own backyard. They come to life when you start a fire in the Dragon Fire Pit by Maandag Meubels. Ideal for a lovely evening in the garden or on the patio. Enjoy the magical blaze of fire with friends and experience how the flickering flames allow the dragons to dance! The idea that a dragon breathes fire originates from the Middle Ages. In those days, people thought shooting stars were dragons. The light trail a shooting star left behind was considered to be the fiery breath of a dragon. The dragons in this fire pit create a warm atmosphere. 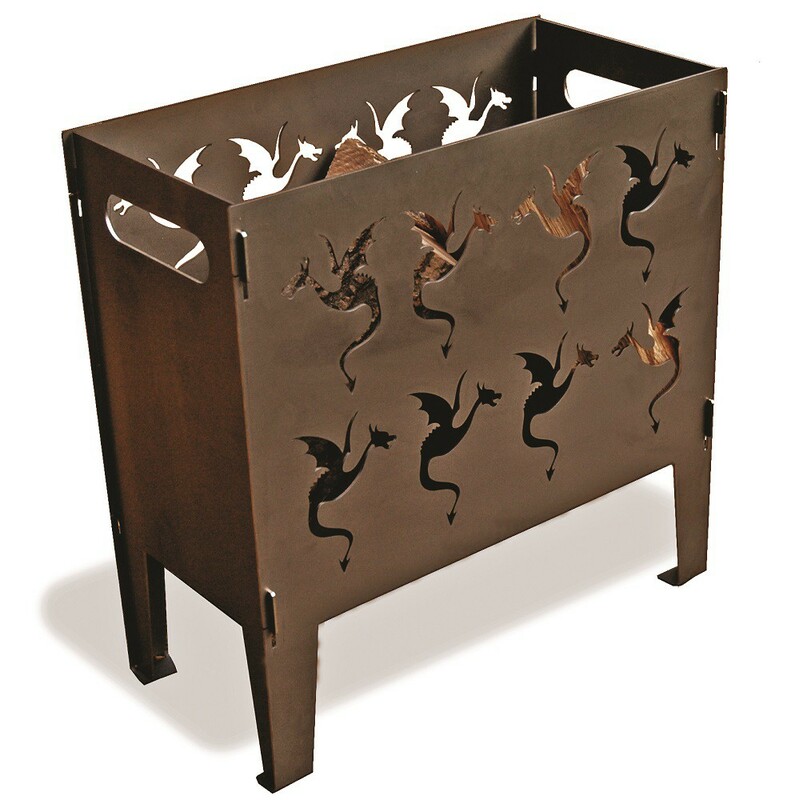 The Dragon Fire Pit is made of Corten steel, a special copper-containing type of steel. After some time, the pit will turn rusty brown. This is because of the oxide layer, which protects the material and prevents it from further corrosion. Enjoy your Dragon Fire Pit even longer! The oxide layer makes painting the material unnecessary. 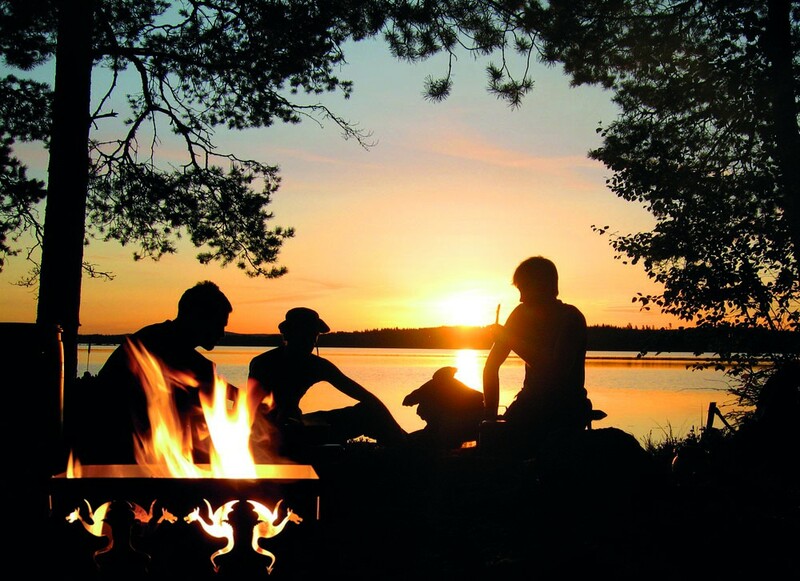 The Dragon Fire Pit can be easily set up without special tools. 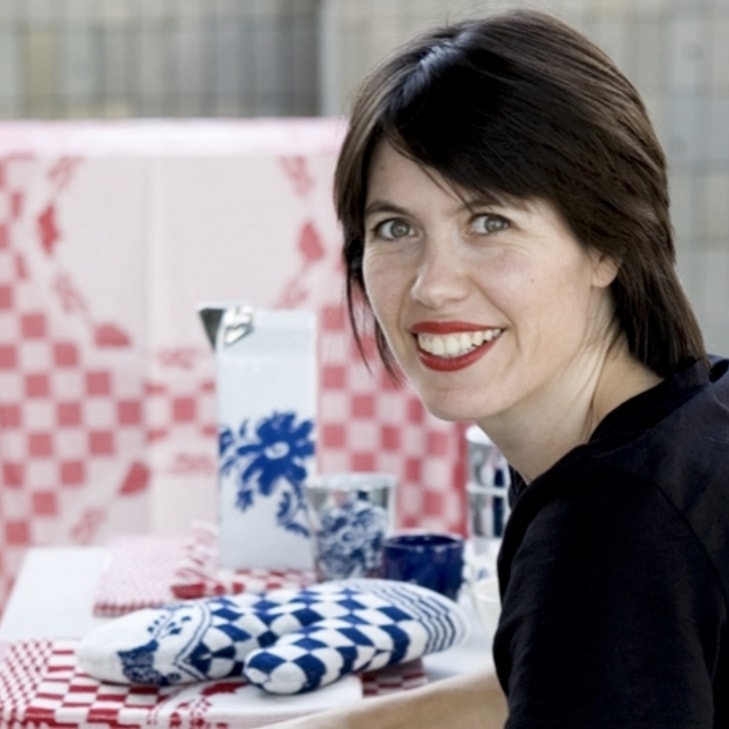 This Fire Pit is both designed and manufactured in the Netherlands. 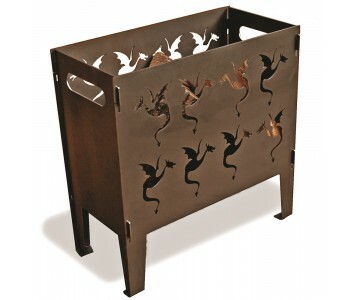 The Dragon Fire Pit is available in two sizes: the Classic has a rectangular shape: 40 cm wide and 20 cm deep. The Large is square shaped and its dimensions are 40 cm x 40 cm. It’s twice as large as the Classic.